Swan River Ranch in Breckenridge CO is a small 18 lot subdivision in Breckenridge Real Estate. Located north of Breckenridge off of Tiger Road and Revette Drive, Swan River Ranch are larger, flat parcels with incredible views of the Ten Mile Range. The lots range in size from 1.13 – 3.54 acres. Of the 18 lots in Swan River Ranch there are 3 vacant parcels. The 15 existing homes were built between 1997 – 2006 and range in size from 2,915 – 6,324 square feet. Lots 9 – 18 in Swan River Ranch border the Swan River which flows freely through 20.41 acres of dedicated open space. Lots 1 – 7 can be found on the east side of Revette Drive and back up to the White River National Forest. 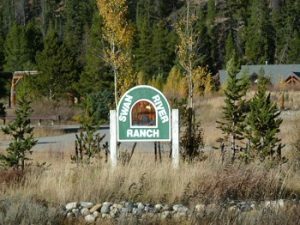 Swan River Ranch is a one of a kind subdivision in Breckenridge Real Estate. If you are looking for a Breckenridge home for sale with more acreage and panoramic mountain views, Swan River Ranch is the place for you.